Since becoming an attorney in 2003, Ron Poliquin has made a name for himself fighting against powerful institutions on behalf of clients. Poliquin’s practice includes employment law, civil rights violations, personal injury, family law, and criminal defense. His cases have been featured in publications such as USA Today, The Toronto Star, The Heartland Institute’s Budget and Tax News, and Delaware Law Weekly. “Quite frankly, I’m the guy other lawyers refer cases to when they don’t know where to send them,” said Poliquin. Poliquin’s track record is extensive. As a first-year lawyer, Poliquin successfully litigating a groundbreaking Taxpayer Rights case declaring that over $220 million dollars in taxpayers funds were stockpiled illegally by government officials in Korn v. New Castle County. In addition, Poliquin represented the Cape Henlopen Taxpayers for Fair Elections in a case exposing how contractors subverted the state’s procurement process in the building of a new high school. The case resulted in the establishment of a $50,000.00 scholarship fund promoting open and honest government for local high school graduates. Poliquin also successfully represented an internationally renowned Canadian equestrian rider in a highly publicized Title IX case against Delaware State University. More recently, Poliquin obtained a six figure unanimous jury verdict against the State’s Harness Racing Commission on behalf of a racing judge who was wrongly terminated. 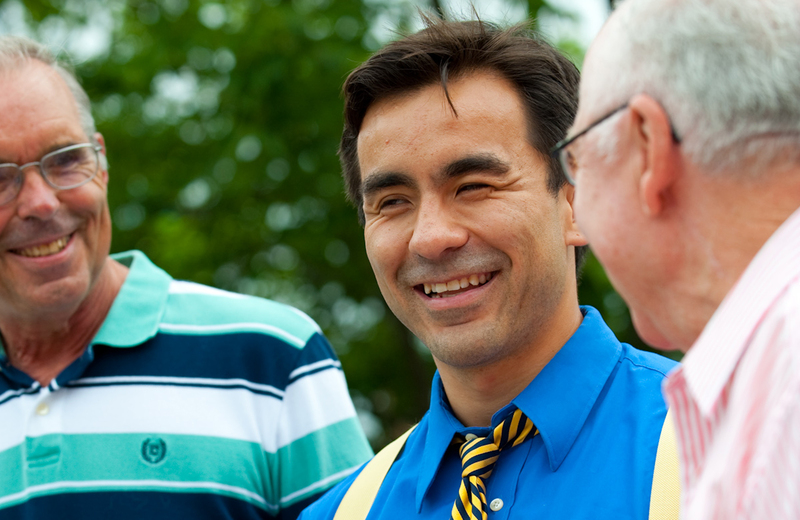 Poliquin graduated from Eureka College in 2000 and received his Juris Doctor from Widener Law School in 2003. At Eureka, Ron earned a bachelor’s degree in History. Ron was also a stand out football player earning All Conference Honors, being awarded the Nick's Award as the school's Outstanding Offensive Lineman three years in a row, and was named team captain his senior year. Ron then went on to earn his Juris Doctorate from Widener University School of Law. At Widener, Ron was a member of the Moe Levine Trial Advocacy Honor Society, Widener Law Rugby Club, and received the Dean Arthur Weeks Student Leadership Award for his exemplary leadership upon graduation. Ron and his wife Maria have four children. They are parishioners at Holy Cross Church. He is a member of the National Employee Lawyers Association, Delaware Trial Lawyer Association and the American Association for Justice. Poliquin regularly volunteers to represent domestic abuse victims earning a spot on the Delaware Volunteer Legal Services' Honor Roll every year he’s been a member of the Bar.